Kim Kardashian makes things look so easy that sometimes we forget she doesn’t just live a lazy life of luxury. The entrepreneur has built an entire empire from her television fame all while taking care of 3-year-old North and 1-year-old Saint… which is actually quite a bit of work. We caught Kim taking a well-deserved breather at the Kardashian skincare go-to Epione in Westwood. Kim Kardashian steps out to go to the spa in Westwood on February 28, 2017. Kim emerged from Epione in her workout gear. The reality television star shunned the big name brands in favor of her red-piped velvet jacket from Pony, which she wore with a pair of black workout leggings. The mother-of-two finished her look with a pair of Céline “ZZ Top” sunglasses, her well-loved crocodile Hermés “Birkin” tote, and of course, her husband’s Yeezy “Boost 350 V2” sneakers in black. 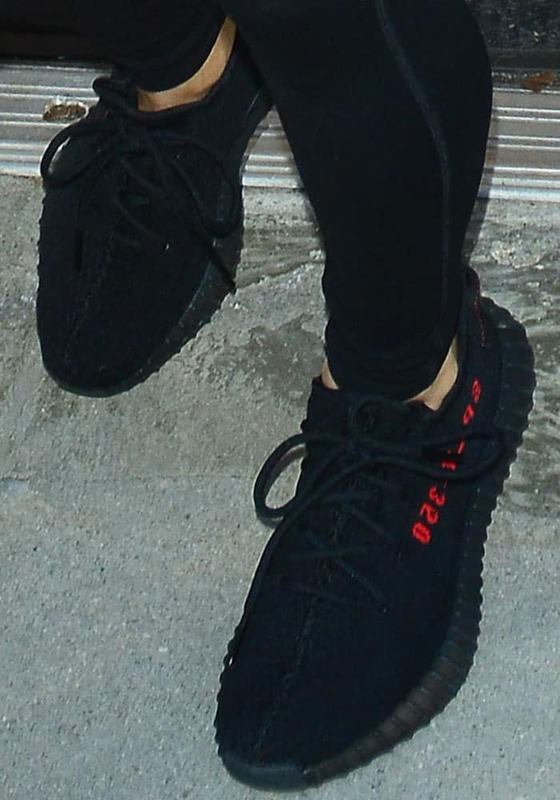 Kim wore a pair of Yeezy “Boost 350 V2” sneakers from her husband Kanye’s line. Kim is noticeably dressed down as compared to her usual days. Before hitting the dermatologist, Kim uploaded snippets of her hilarious workout with sisters Khloe and Kourtney. The former complained that her sisters just kept Snapchatting when she was riled up to exercise. Kim also did an impressive jump rope move that had the other two attempting to copy her. Later, Kim got her cupping facial while accompanying Khloe, who visited Epione in order to get her back tattoo removed. Kim has playfully teased Khloe in the past for the tattoo’s “tramp stamp” placement, joking on live television that “you don’t put a bumper sticker on a Bentley.” Well played, big sister. 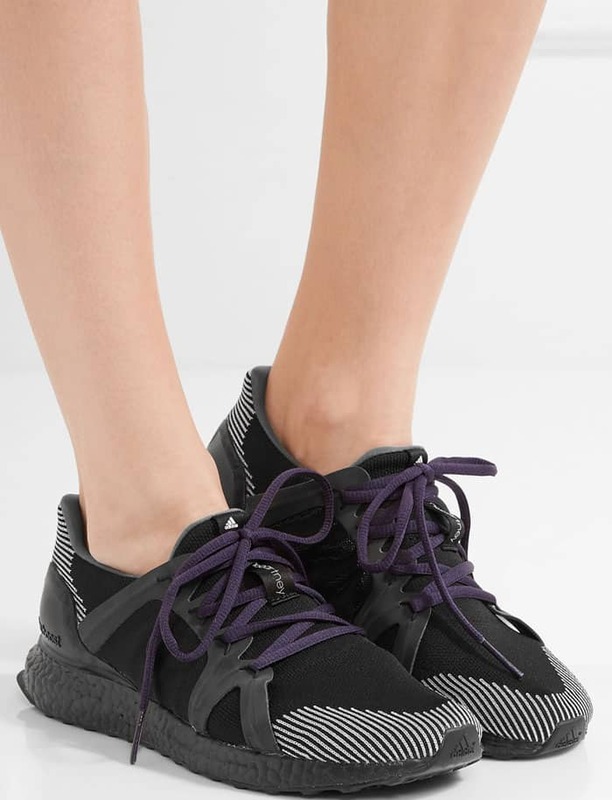 The Yeezy “Boost 350 V2” have unsurprisingly and unfortunately sold out, but you can get a similar Adidas x Stella McCartney pair at Net-A-Porter.